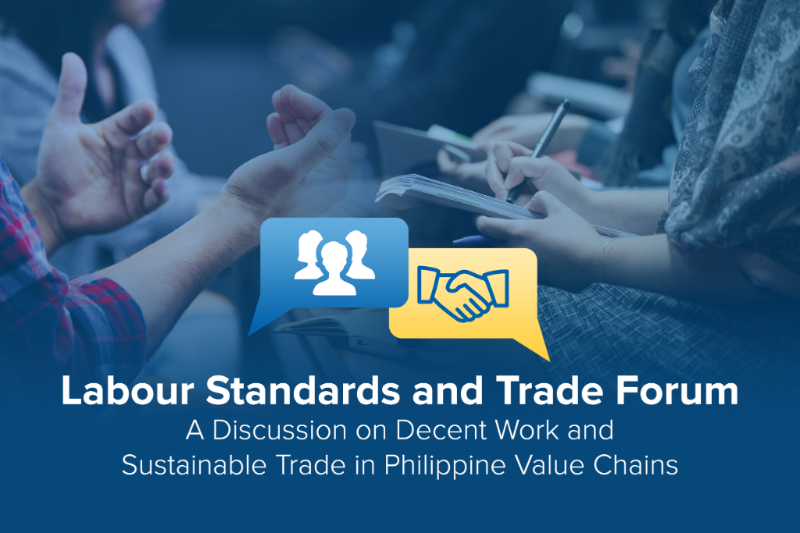 The EU-Philippine Business Network (EPBN) in partnership with the International Labour Organization (ILO) and the EU Delegation to the Philippines are organizing a forum on "Labour Standards and Trade: A Discussion on Decent Work and Sustainable Trade in Philippine Value Chains" from 1:00 PM - 5:00 PM on the 5th of June 2018. With the complexity, diversity, and fragmented nature of global supply chains, challenges remain that continue to impede on decent work. As such, consumer, investor, and multinational corporations products must be produced with respect for international labour standards. Similar to their Filipino counterparts, multinational companies are finding themselves in more open positions in which scrutiny and cross-examination are prevalent. How a company operates, with whom and under what conditions it operates are factors that increasingly form part of consumer awareness. Applying core labour standards also makes good business sense as it increases productivity and reduces the real costs of contracting workers. Relevance of integrated audits and reporting for company's long-term sustainability. Promote best practice of core labour standards being integrated into business models for industry players and SMEs.